Somalian terror group al-Shabaab has announced that its brutal attack on a Nairobi hotel complex was in response to President Donald Trump’s moving of the U.S. Embassy to Jerusalem. A team of four Islamic militants shot dead 21 people at the DusitD2 hotel and business complex Tuesday during a horrific and co-ordinated assault. Now, the terror group, which has links with both al-Qaeda and Boko Haram, has declared that the massacre was in response to President Trump’s decision to relocate the U.S. Embassy from Tel-Aviv to Jerusalem. “It is a response to the witless remarks of the US president, Donald Trump, and his declaration of Al-Quds (Jerusalem) as the capital of Israel,” the group noted in a statement picked up by Reuters. Al-Shabaab has ramped up its deadly operations in Kenya over recent years. In September 2013, the group launched a brutal attack on Westgate Shopping Mall in Nairobi, resulting in the deaths of 67 people. Then, in 2015, the Islamic militia attacked Garissa University College, killing some 148 people. The attackers reportedly allowed Muslims to go free, before executing all those who identified as Christians. 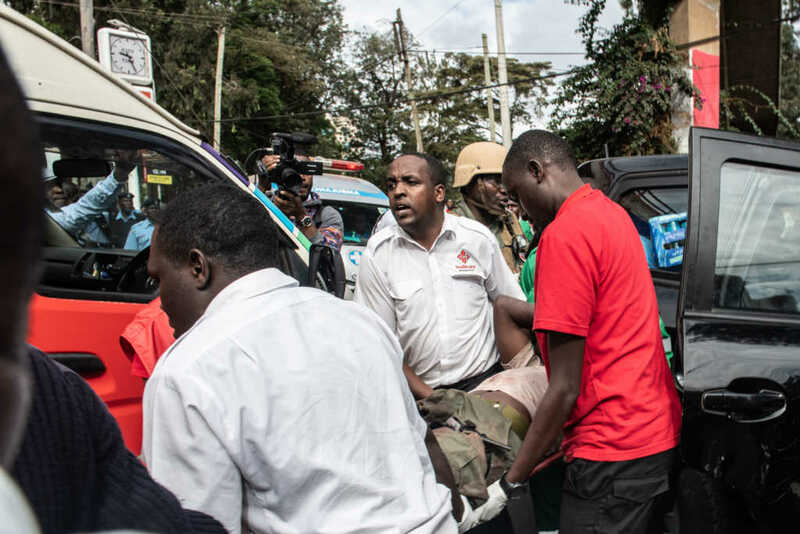 It was the deadliest attack in Kenya since the 1998 United States Embassy bombing. In May of last year, President Trump officially moved the United States embassy from Tel-Aviv to Jerusalem, thus officially recognizing the historic city as the capital of Israel. How exactly did the latest attack unfold? Who was the American victim? An American businessman was quickly confirmed as one of the several people killed. Jason Spindler, the CEO of a strategy and investment company, was reportedly having lunch at the upscale 14 Riverside Drive complex when he was shot dead. Do pray for Jason’s family, and the families of all the victims, at this time of terrible grief.